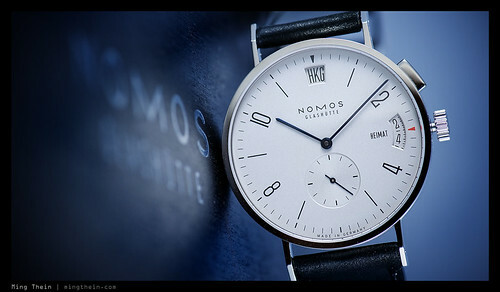 Nomos is one of those little ‘artisanal’ brands I follow with interest as they offer a combination of things that most others don’t: unique and functional aesthetics, in-house movements and great value for money. Around the middle of 2010, I remember reading about their new worldtimer, and how they would be conducting a public beta test to determine the final design and assessment of reliability. If only all watch companies worked this way! 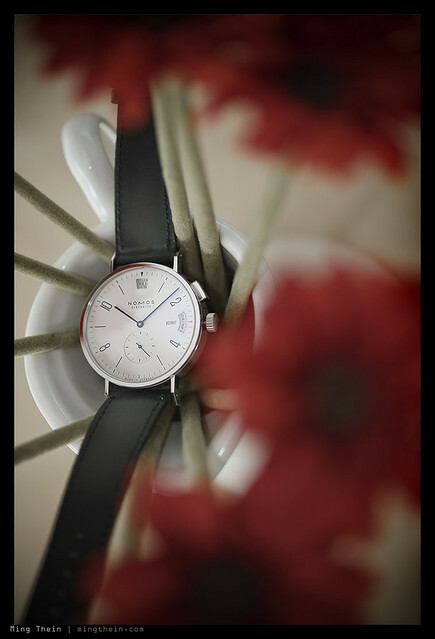 Fast forward to October – I chanced upon the post again, and this time the desire to own one struck me very badly. Also, I was travelling quite extensively for work; this would be a useful complication to have! 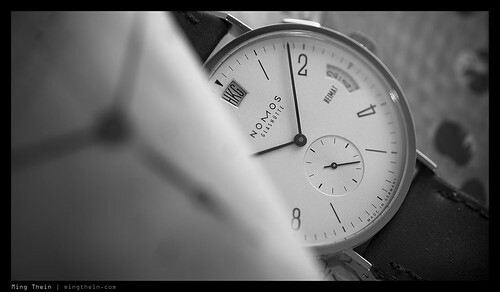 The decision was not made any easier as Nomos were testing two cases (their new Zurich case and the classic Bauhaus Tangente case) with a total of six different variations; after several days of indecision, I went with the Tangomat GMT-12 variation based on the logic that a) it was easier to read than the Zurich, with its continuous city ring, and b) I can read all of the indications by shooting my cuffs halfway (it’s a fairly big watch). There were to be a couple more challenges before the watch would arrive on my doorstep. 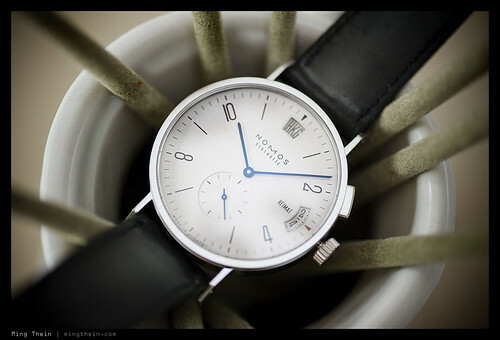 The first was that you could only get one in Germany during the testing phase (and anybody who’s tried to buy a normal Nomos before probably knows how difficult it is to get hold of one anywhere, period). And there was the issue of a) obtaining the right model – there were only thirty of each dial variation produced – and b) obtaining it before I was due to leave for another trip. 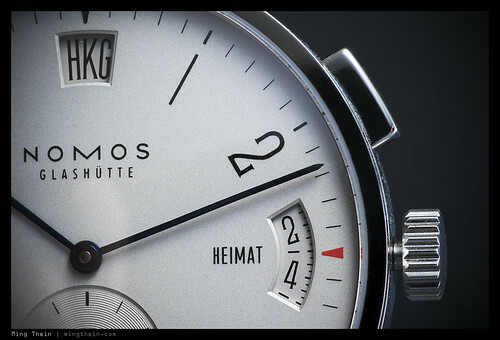 At the end of the test period – in December – the watch would go back to Nomos with a comprehensive questionnaire, and I would decide if I wanted to keep it, in which case it would be serviced and returned early 2011, or get a full refund. Fortunately, a friendly lady named Isabella from Wempe in Munich Maxstrasse managed to help out – not only did they manage to find the right dial, they got it delivered inside three days. With a short strap to fit my small wrists, no less. Top notch service! I ripped the package open with anticipation to find a whole wodge of documentation, a Nomos ‘newspaper’, and the watch itself, packed into a nice plain black wooden box with a tool for changing the home time offset by means of a flush pusher in the side of the caseband. 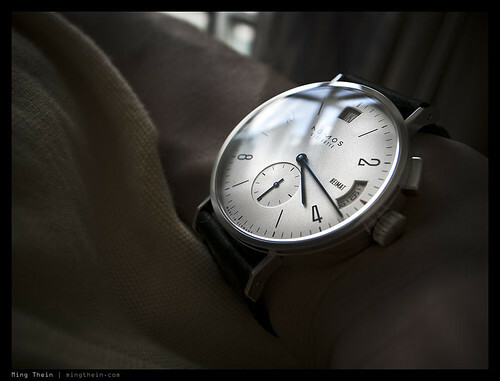 First impressions: very nicely finished for the money – around EUR2,500 if I remember right – and wearing much larger than its ~40mm diameter would suggest, thanks to the complete absence of a bezel. The case felt like a mirror-polished biscuit, solid and clean with no extraneous design flamboyancies, just the way I like it. Antireflective coating on both front and back crystals was a nice touch, too. 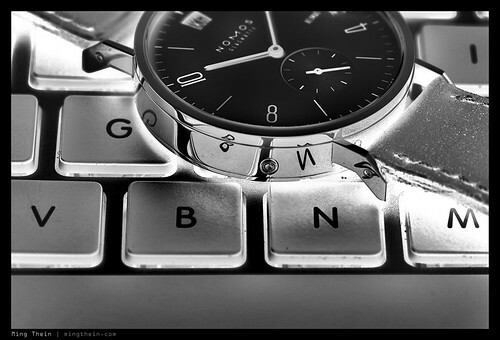 Three thin blued hands floated above the dial, beautifully contrasting against the white-silver background. At 12, a small window to indicate the city’s timezone using its three letter airport code; a little segment at 3 to show the home time, and a subseconds dial at 6. Despite the lack of adornment of the dial, a full set of indices was present, and thanks to the sharp hands, it was possible to set the minute hand to line up exactly on the index. A pusher at 2 o’clock advanced the city dial and hands by one hour increments (the main time hands follow the local time, of course) whilst retaining the home time display on the little segment. The crown has only two positions – winding and setting/ hacking. Flip the watch over, and you’re rewarded with another display back. 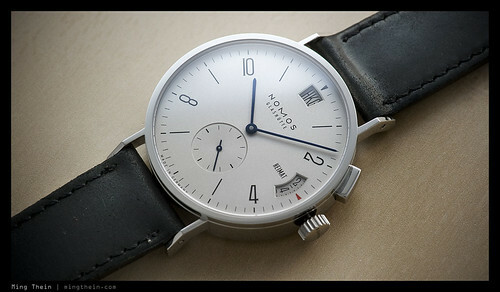 Powering the Tangomat GMT is Nomos’ new inhouse automatic Xi movement. 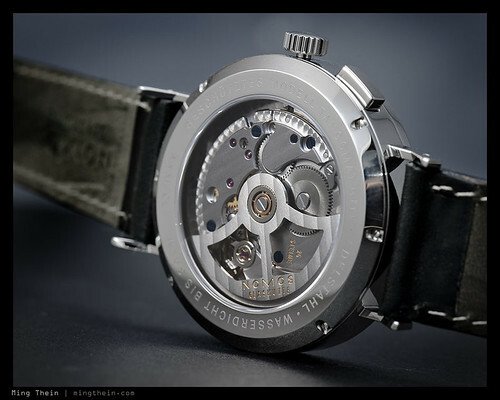 It has 26 jewels and surprisingly nice decoration given the price point – perlage on recessed surfaces, Glashutte stripes, and a nicely snail-grained barrel wheel. In fact, I wouldn’t even expect an inhouse movement at this price – the fact that it’s quite well finished (probably Omega standards, close to but not quite JLC) is a huge bonus. 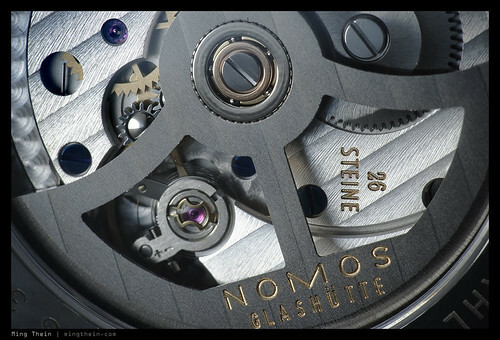 Aside from the GMT function and hacking, the movement also features bidirectional winding thanks to a little pair of switching gears, visible near the balance. Finishing off the package is a nice high quality cordovan (horse) leather strap, though the buckle could definitely be improved. So we’ve established that aesthetically and mechanically, a very nice piece – and great value for money. But more importantly, what was like to live with? Functionally, it was pretty much flawless. 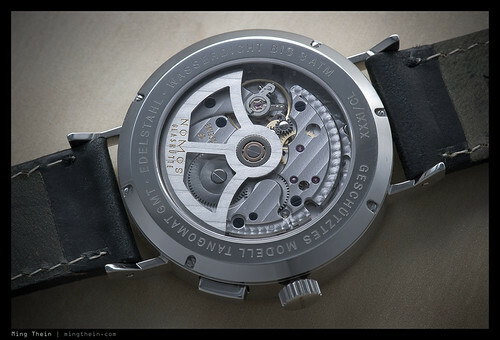 No issues with any part of the complication; the watch held its advertised power reserve, and kept time well – to within a couple of seconds a day. 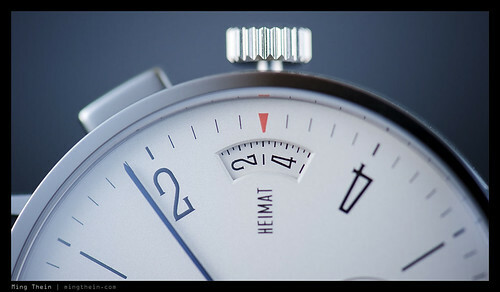 It was easy to read under almost all lighting conditions, with the sole exception of the home time segment – the markings were just too darn small to make out accurately, and it didn’t help that the only the even hours of a 24 hour scale were shown. 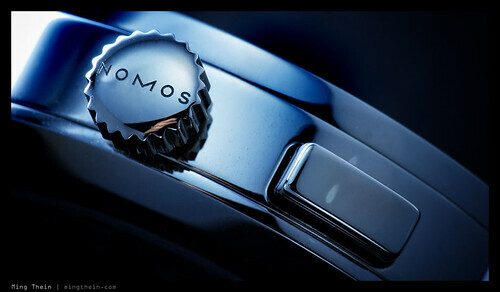 I loved the way it looked, and the watch paired well with both formal and casual wear. But at the end of the test period, I sent it back and decided not to keep it. Why? Simply, it was just a hair too big to be comfortable on my wrists – I think the flat back didn’t do it any favors – and I found it sliding around a bit and inevitably landing up resting on the outside portion of my wrist where I’d be petrified of it bumping into something and getting scratched up. You land up babying and being very conscious of a piece that isn’t that comfortable to wear, and eventually it lands up relegated to a drawer somewhere. 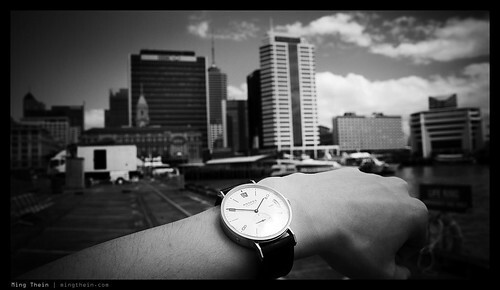 If it’d been a 38 or 39mm watch, I’d have kept it (and it might well have turned into my main daily wearer). I’d even be able to overlook the ‘HKG’ on the GMT+8 timezone – instead of ‘KUL’, where I actually live – but ultimately, comfort was key.